Please see the press release below about a recent grant and an event this coming Tuesday to announce a park being developed in West Jackson. 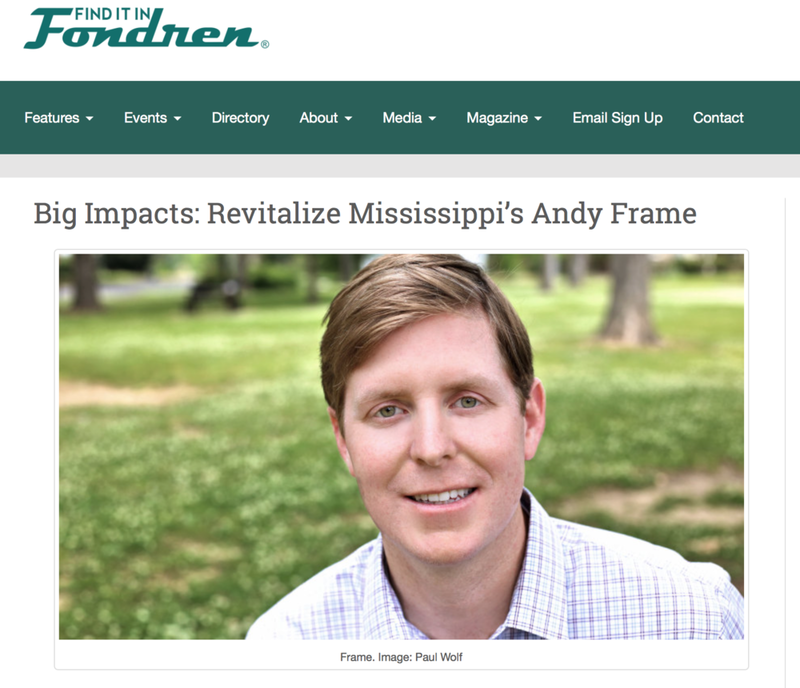 This project is led by Rosemont Human Services, a local nonprofit, in partnership with Revitalize Mississippi, the Mississippi Urban Forest Council and many other volunteers and partners. The grant was awarded by Canadian National Railway to the City of Jackson, and will be completely used for purchasing of plant materials for the park and other nearby property around Lake Elementary School and Rosemont MB Church. The lots where the park is located were blighted properties that have been cleared by Revitalize Mississippi. Some planting has already been done thanks to volunteers provided by the Junior League of Jackson for one of their MLK Day Connecting Communities projects. We would love it if you could come to the event at 11 a.m. on Tuesday, February 12 at 4301 Officer Thomas Catchings Dr. We will be on site at the park property. It will only last about 30-40 minutes, but I'm sure there will be plenty of time to talk afterward. 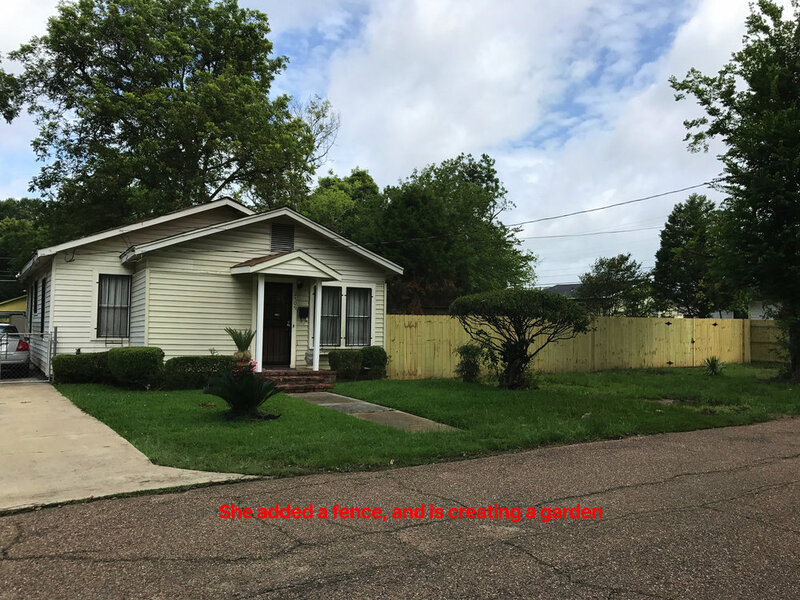 Feel free to forward this email to anyone you feel may be interested in this project, as we are always looking for more partners to work with to revitalize this West Jackson neighborhood. Volunteers on MLK Day helped begin the landscaping at Bottom Gardens, a new park owned by Rosemont Human Services across from Lake Elementary School in Jackson. The volunteers were organized through a Junior League of Jackson Connecting Communities Event. A press event with representatives from the CN, America In Bloom and the MS Urban Forest Council will be held at Bottom Gardens – 4301 Officer Thomas Catchings, Sr. Drive, Jackson, MS (across from Viola E. Lake Elementary School) – on Tuesday, February 12, 2019 at 11:00 a.m. ―We are proud to bring this opportunity to six Mississippi cities: Yazoo City, Terry, Canton, Jackson, Byram, and McComb. These types of activities are significant improvements to the community. The social impact of green space, trees and gardens can be particularly pronounced when public spaces are transformed into places of beauty that foster safe places for neighborhood interaction, economic and property value enhancement, and improves the lives of those that live in or visit the community.‖ according to Donna Yowell, executive director of the MUFC. CN is a true backbone of the economy, transporting approximately $250 billion worth of goods annually for the wide range of business sectors, ranging from resource products to manufactured products to consumer goods, across a rail network spanning Canada and mid-America. CN –Canadian National Railroad Company, along with its operating railway subsidiaries—serves the cities and ports of Vancouver, Montreal New Orleans, Mobile and Jackson, MS with connections to all points in North America. www.cnfromthegourdup.ca. America in Bloom envisions communities across the country as welcoming and vibrant places to live, work and play – benefitting from colorful plants and trees; enjoying clean environments; celebrating heritage; and planting pride through volunteerism. America In Bloom promotes nationwide beautification through education and community involvement by encouraging the use of flowers, plants, trees and other environmental and lifestyle enhancements. America in Bloom is an independent non-profit 501©3 organization and contributions to AIB are tax deductible. www.americainbloom.org. For more details on the grant program, please check www.AmericaInBloom.org/CN The Mississippi Urban Forest Council is Mississippi’s own statewide nonprofit that works with communities and local groups to improve quality of life and support strong communities for economic success on a local level. MUFC was recently recognized by the MS Business Journal as one of Mississippi’s best nonprofits. We are thrilled to work so very closely with the City of Jackson and to provide this opportunity for more enhancement to our state. These projects will begin a series of Arboretums in the state and these cities will become part of the Mississippi Arboretum Trail. ―Help Green Our Communities. Trees enhance property values, improve the look and feel of commercial areas, and even help reduce crime! The Mississippi Urban Forest Council and its’ volunteers, the Urban Forest Masters have planted over 379,000 trees and donated over 3 million flower bulbs in Mississippi since 2010. For more information on Mississippi programs visit our web site at www.msurbanforest.com. 3930 Officer Thomas Catchings Dr.
Rosemont Human Services will hold a press conference announcing the formation of a Community Land Trust, prior to the demolition of two dilapidated houses in the community. 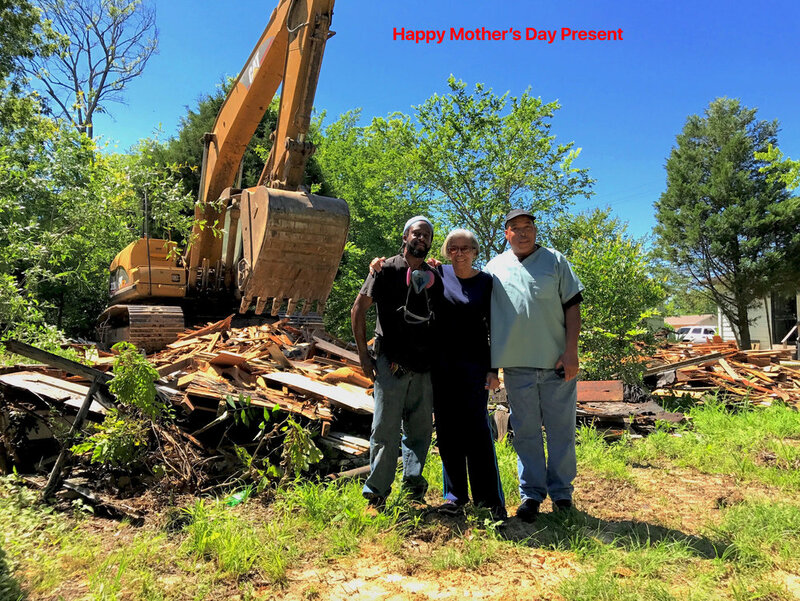 The demolitions, donated by Revitalize Mississippi, will take place at 102 Lindsey Dr. and 4301 Officer Thomas Catchings Dr., directly across from Lake Elementary School. After the demolitions, RHS will host a community meeting to discuss how the Rosemont Community Land Trust will work to revitalize the neighborhood and provide newly remodeled affordable housing to the community. Lunch will be provided for free during the meeting to anyone who would like to attend. All media outlets are invited to attend. Community Land Trusts (CLTs) have swept the country as tools for neighborhood revitalization due to their fair and resilient approach to neighborhood development. CLTs act as community-owned and community-operated stewards of the land. CLTs preserve affordability perpetually while helping CLT homeowners build wealth in a stable home environment. Rosemont plans to develop the Rosemont CLT throughout the neighborhood surrounding the Rosemont M.B. Church. 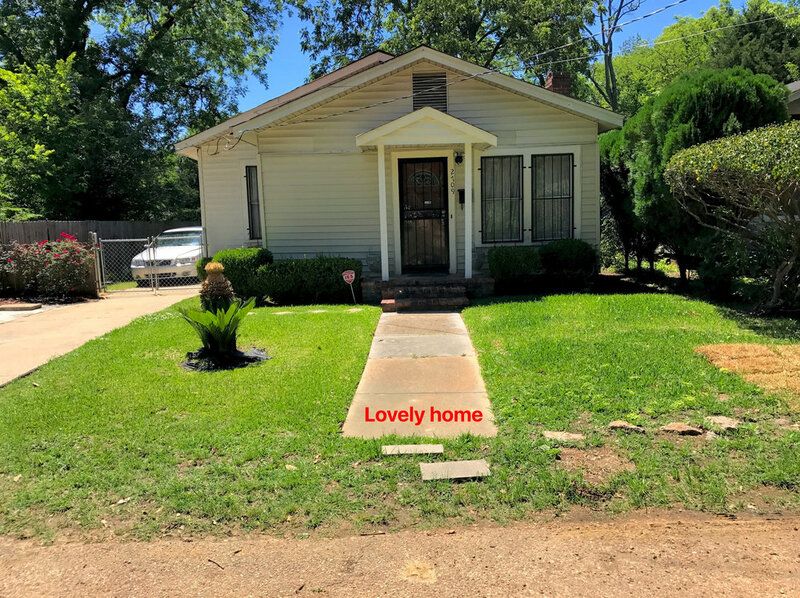 While the Rosemont CLT is in its startup phase, Revitalize Mississippi, Inc., a Mississippi nonprofit corporation, will donate its lot cleanup and demolition services to Rosemont to assist the community in eliminating blight in the area. A new administration; a new commitment to addressing Jackson’s blight problem; Three On Your Side investigates ways to help you take back our neighborhoods. “I’m grateful for you, you all come out over and over again and I do believe that you all played a major role,” said Terry Byrd. Check out our new Videos page where you can see our progress! Our excavators make quick work of dilapidated houses and blighted lots. Click here for more or subscribe to our YouTube channel. The Clarion-Ledger writes about our efforts to clean up blight. Read more here.